Well friends, in my Bible, the heading for this chapter is “Sin’s Power is Broken”. This is the point of the gospel. Before we had Jesus, we were slaves to sin. We couldn’t help ourselves, it was all we knew. Even the Jews were slave to this human nature. If you read through the Book of Leviticus, there is a whole list of things that you have to do to overcome sin. Mostly it involved some intricate system of sacrifices. But because of Christ’s death we are no longer bound by the system of sacrifices. The unfortunate thing about sin is that sin leads to death. “For the wages of sin is death, but the free gift of God is eternal life through Christ Jesus our Lord” (6:23 NLT). This simply means that as long as we continue to sin, we are dead. But God is able to give us new life, it reminds me of Ezekiel 37. In this passage, the prophet Ezekiel is brought to a valley of dry bones. God tells him to speak to the bones in order to bring them to life, and as he does the bones come together and form flesh upon them. Then God tells the prophet to speak to the wind to breathe new life into these remade bodies. While we are in sin, we are just like the remade bodies. We are alive, but really we are no different than being dead. We cannot live for God, we cannot do what He asks of us, because we are dead. But God offers us life. Once we have life, than we are unstoppable because we are alive and everyone else (not in Christ) is still dead. So wake up friends! Christ is breathing new life into us so we can live. We can now go out into the world in live for Him. So be the light to this world that God has called you to be. Live a life, because now you are alive and not dead! Well friends, it’s been a few days since I’ve done this but I’ve decided to do another book study! I’ve decided this time to cover the Book of Romans. Just like we did with Mark, I will do a chapter a day provided nothing comes up in the mean time. So let’s jump into this letter to find out about what God has to say for us. Let me start by saying, Romans is probably my favorite book of the Bible. It was the last letter that Paul wrote, and is one of his prison letters (meaning he wrote it while in prison). He wrote it to a church that He hadn’t founded, but had the urge to visit (1:13). The Roman church didn’t just sit in the middle of a sin infested city, it was the middle of the whole world; everyone and everything either was apart of or knew of the Roman Empire. Paul was excited for this church because they had the ability to spread the gospel throughout the world, because they were placed in Rome. However, we quickly see what the problem of the church is. 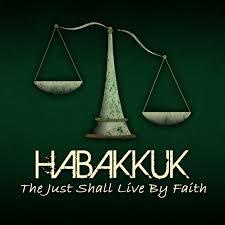 He sets it up through he thesis for his letter, which is a quote from Habakkuk 2, “It is through faith that a righteous person has life” (Romans 1:17, Habakkuk 2:4 NLT). It’s the truth isn’t it? Jesus says, “I am the way, the truth, and the life; no one come to the Father but through me” (John 14:6 NASB) and “the gateway to life is very narrow” (Matthew 7:14 NLT). So what Jesus is saying is the same that Paul and the prophet Habakkuk both say, belief in Jesus is the way to life. The problem that the Roman church had, and what many of us have today, is that we think there are multiple things we still have to do other than have faith. As we will see, Paul shows that the old Jewish Law is dead because of Christ saving death. That’s it friends. Have faith. So if it’s that simple, how come we get caught up in telling people they have to do this, this, and this, but we don’t mention Jesus one bit. I think our focus, as a Church, has shifted. We have accepted Jesus, we know the world knows about him, so naturally we feel that the world needs to be reminded how to live a Christian life. That’s all well and good, but we don’t live in a Christian world. Largely, Christ is fought, and mostly it’s because Christians have been finger pointing so long that we are viewed as judgmental. We get confused on what it means to hate the sin. It’s true, as Christians we are to hate what God hates, and love what God loves. But God only hates one thing, sin. That means we have to hate sin. Sin is not a person, it is a person’s actions. Sin is something you do, not what you are. And since we love what God loves, we get to love the sinner, despite what they do. So where does that leave Christians? We’re stuck. We have to stand against sin. We have to love people. We have to share Jesus. We have to live by faith. We want the people we know and love to get to experience the life given to us by our faith. But largely, they are against the idea of Christ. My suggestion, we live like we are supposed to. We follow God, and seek after His heart. When our friends and family ask what the secret is, then we tell them about God and Jesus. This is the only way we can share our faith and help other get life, by example. Because as much as this world believes it’s alive, it has no idea that it is just a valley of dry bones. God can bring this world back to life (Ezekiel 37), but in order for Him to provide, we must have faith that He will. So What is Spiritual Formation? The Heart Man Create a free website or blog at WordPress.com.